The technique was invented by Simon Francois Ravenet, a French engraver who moved to England to perfect the process he called ‘décalquer’ (meaning to copy by tracing); it became widespread during the decal craze of the late 19th century. Other names used over the years were ‘mineral transfers’ in the USA, and ‘diaphanies’ or ‘cockamanies’ in England (hence the word ‘cockamamie’) and ‘lithographs’ and ‘lithoplanies’ in Europe. The process of lithographic or chromolithographic decoration involved the production of a pattern on paper or paper-backed sheets, from which the design was transferred onto a ceramic vessel. This enables the accurate and uniform reproduction of logos, drawings, paintings and illustrations in single or multiple colors. Decals were not stickers applied to a vessel; they were enameled images transferred to the vessel. The first experimentation with decals as a method to decorate pottery occurred in Europe in the 1830s, but it wasn’t until the late 1870s that ceramic manufacturers in France made significant technological advances in the use of decals. Attempts to copy this technology were made without success in Trenton, New Jersey at about the same time. The use of decals on American-made ceramics was rare prior to around 1900, appearing primarily on imported European porcelains before that time …the earliest successful decals were manufactured in England, France and Germany. 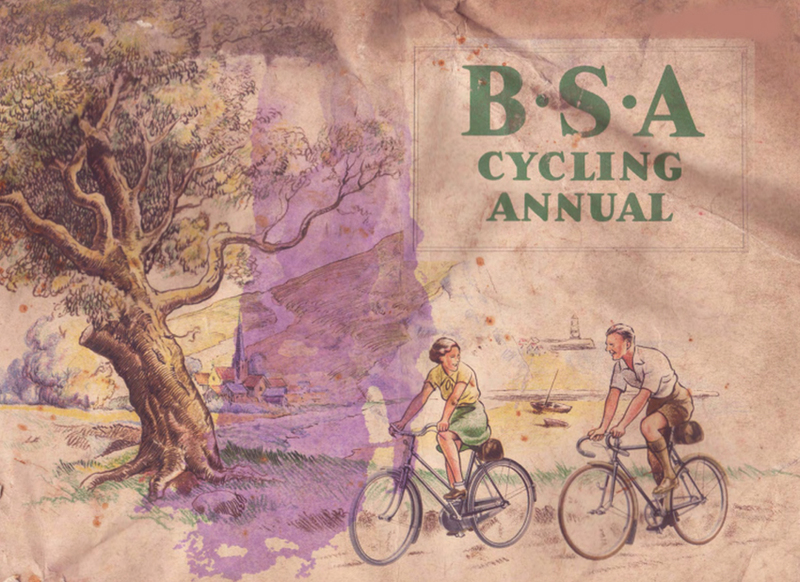 While it’s not surprising that a bicycle built by one of the world’s top cycle manufacturers such as BSA has survived for 78 years, there are some delicate parts on a bicycle that usually succumb to the ravages of time. 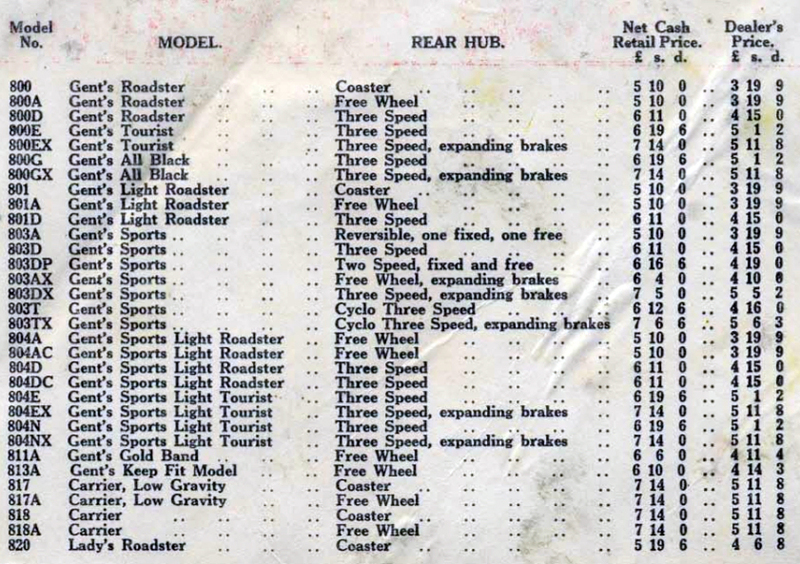 Worn leather saddles and handlebar grips are easily replaced. 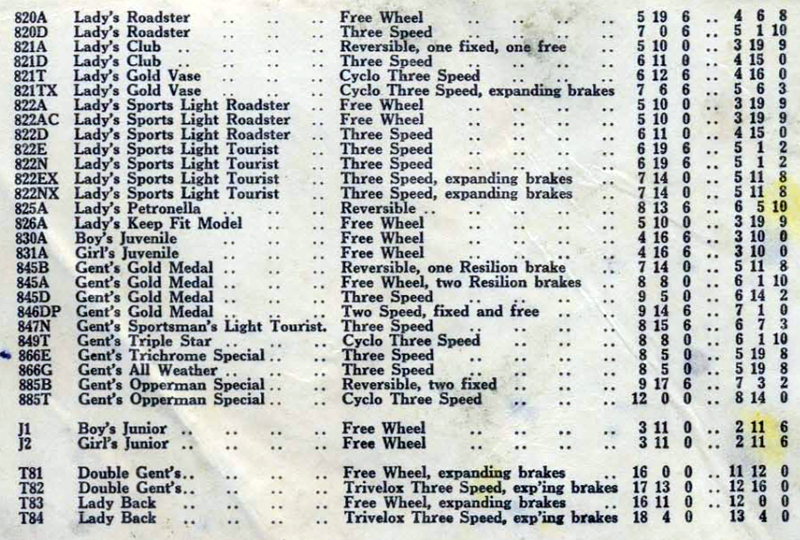 But the original gilt transfers (decals) that adorn a bicycle are unique and irreplaceable. The art of gilding – applying fine gold leaf to solid surfaces – goes back thousands of years. Historically, gold leaf was used to provide a perception of high value and importance, which no doubt unconsciously draws our attention to them on a bicycle. But surely it’s their temporariness that is a major aspect of their attraction …the idea of ‘cheating time?’ Like a beautiful butterfly that lives only for a day or two, transfers usually have a short life span compared to the rest of the machine. Because, ironically, if an owner cares too much for their bicycle, and polishes it frequently, the transfers are rubbed out. This BSA Gold Vase is rare because its unrestored paintwork retains the full set of original transfers. 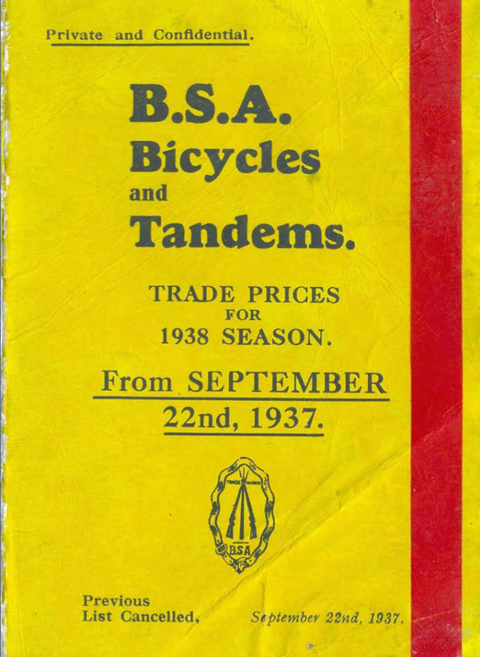 The Gold Vase was one of BSA’s flagship models, introduced to provide an upmarket but cheaper option to the renowned BSA Opperman …which was double its selling price. 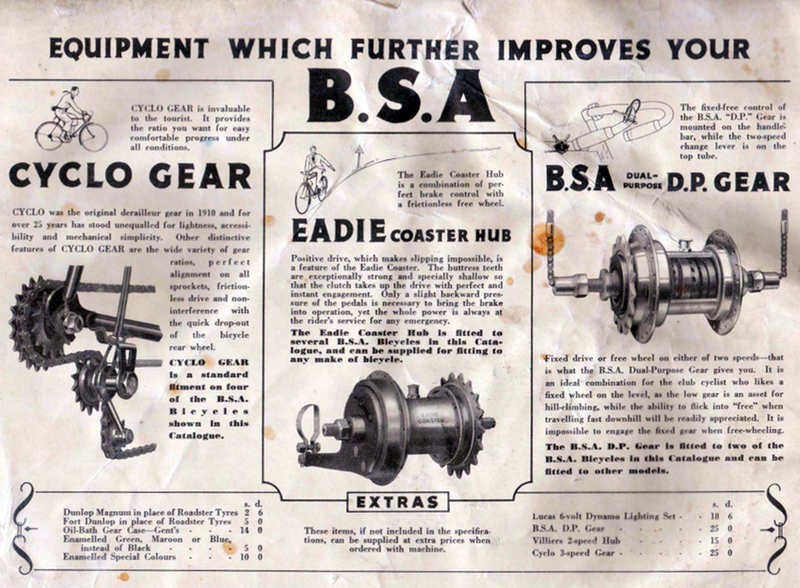 It has its original BSA Rat Trap Pedals (described by BSA as ‘Racer Type’) and metal spearpoint mudguards. 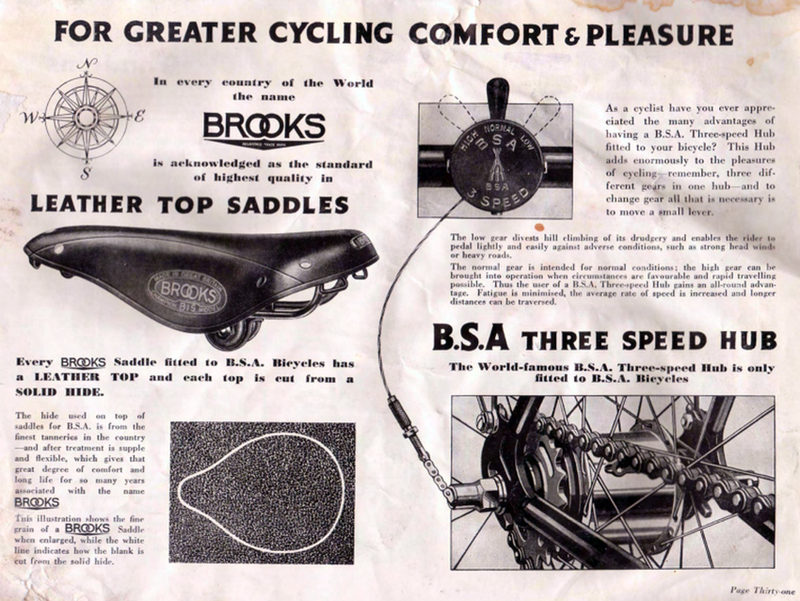 The saddle is a Brooks Champion in worn but usable condition. 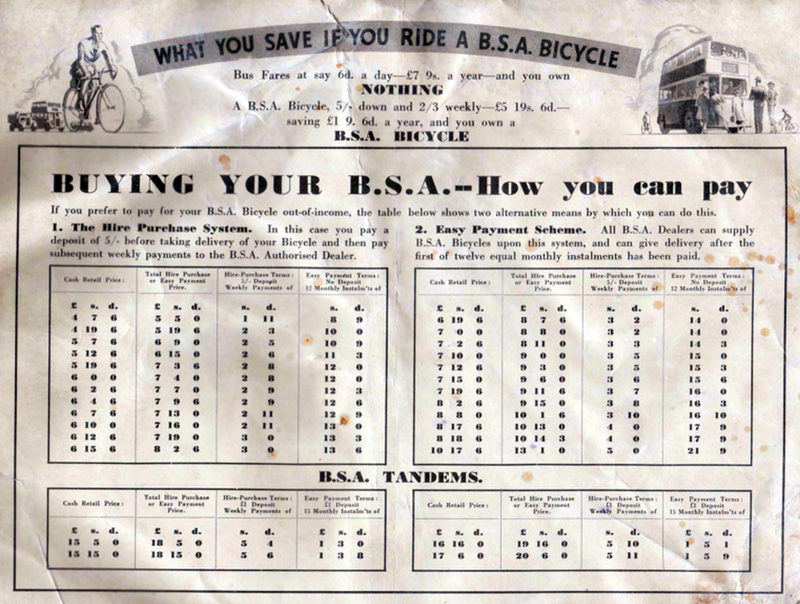 It has recently had new tyres and tubes fitted, as well as new handlebar grips displaying the BSA ‘stacked rifles’ logo. This Gold Vase is in excellent ‘oily rag’ running condition.